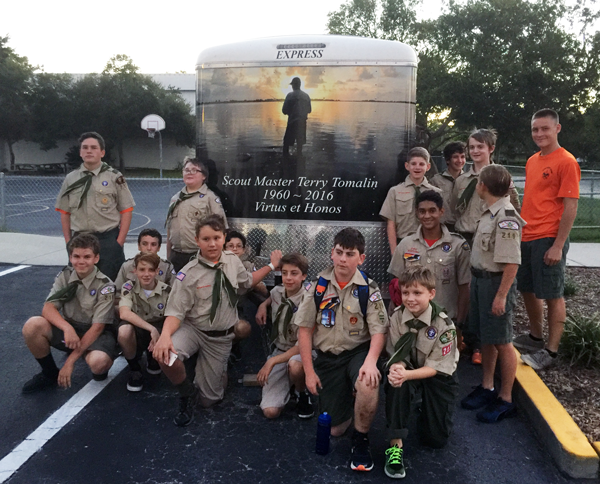 Troop 219 is part of the Skyway District of Greater Tampa Bay Area Council . We service the youth of Snell Isle and Shore Acres areas of Pinellas County. Troop 219 is active within the Outina Chapter of the Order of the Arrow, Timuquan Lodge 340. 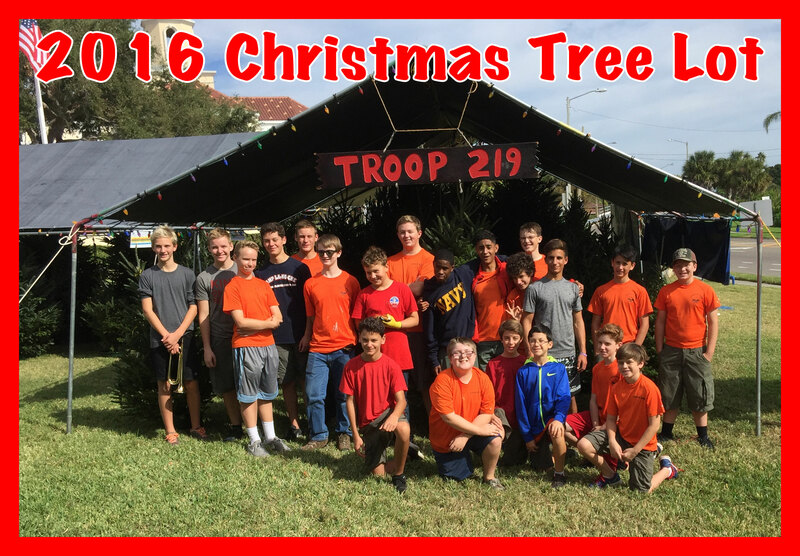 Troop 219 is a SCOUT RUN TROOP which follows the Patrol Method and has an active youth enrollment, and a strong committed contingent of parent and adult volunteers. Troop Meetings are at 7:00 PM, every Wednesday in the Parish Center @ St Raphael’s Catholic Church located at 1376 Snell Isle Blvd NE, St Petersburg, FL 33704. If you are new to our troop, please be sure to sign up for our email distributions by clicking on the mail icon. travel home from Camp Rainey Mtn.